Trust me when I say the new Brunetti at 250 Flinders Lane is the latest hype in the city, and for a very good reason too. Opening just barely a month ago in November, Brunetti almost instantly attracted a large throng of faithful customers. Its soothing and inviting space can easily accommodate 300 seats, with a stylish layout reminded me of a Tokyo's underground food hall. 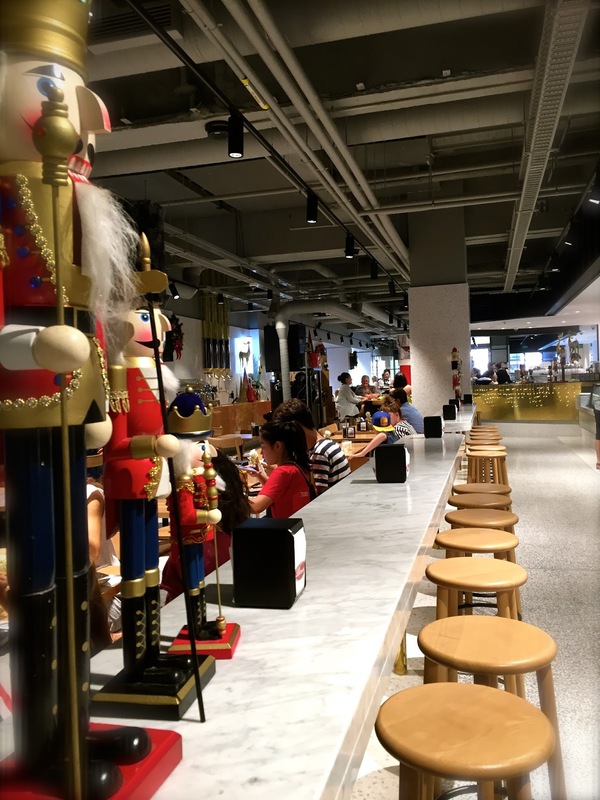 The glittering marble-covered area is a curated department of sweets and savouries, satisfying all cravings for hot and cold, coffee or liquors, and a variety degrees of sweetness demand. The cake and gelato counter is a dreamland of Hansel and Gretel (minus the wicked witch). Like a magical artworks exhibition, happy customers are greeted with rows of scrumptious-looking cakes decorated with raspberry glaze, cute round choux pastries, delicious chocolate sauce, modern shiny domes, and fancy white chocolate bands. 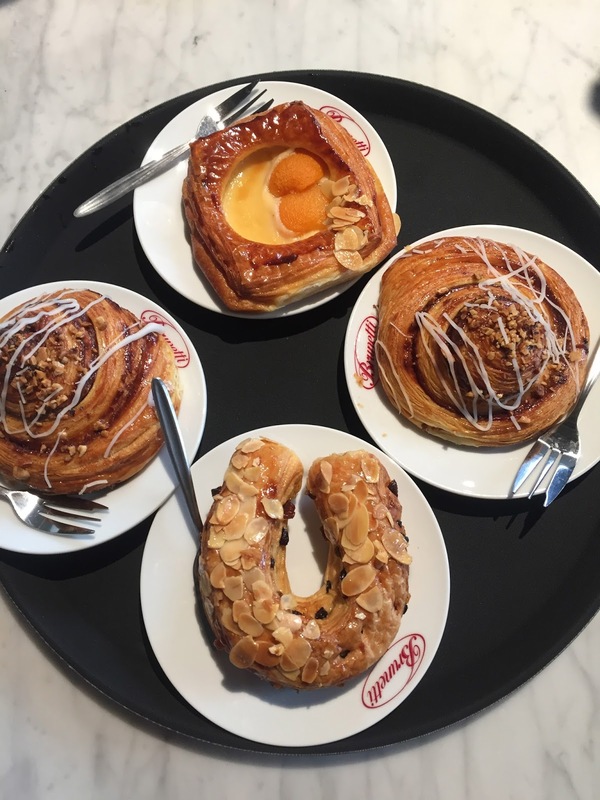 The coffee and pastries bar is a micro manufacturing factory of its own, with numerous baristas, waiters and waitresses working efficiently meeting the high-volume orders of its consistent customers flow. Further down, a hanging wood-fired pizza oven and old style coffee roaster add to the swankiness of the place. 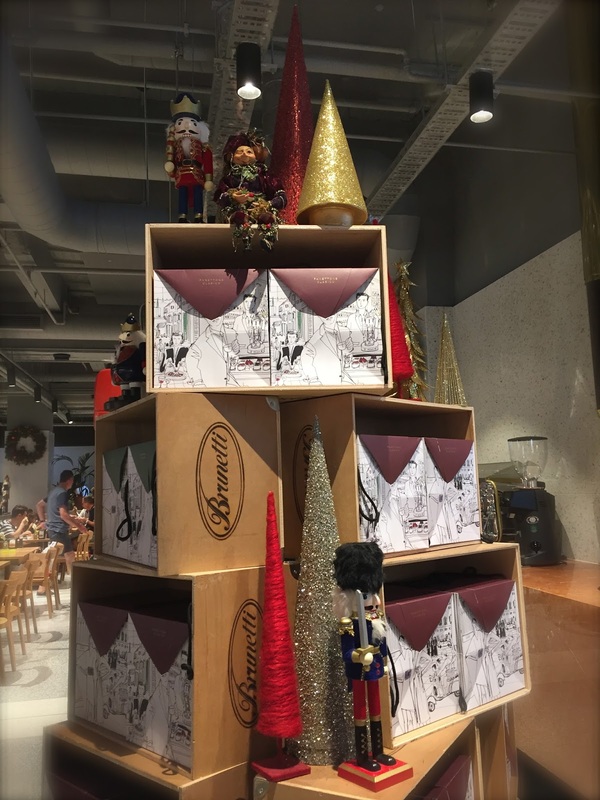 Customers relish the taste of traditional Italian with modern twist sprinkles to the dishes, before moving on to Brunetti's unmissable desserts and aromatic specialty coffee blends. We thought it was a real shame when the Brunetti branch at City Square was compelled to shut down to give way to the metro tunnel project. But this new Brunetti gracefully transformed itself into an incredible dining space and a talk of the town, a perfect example on how one can always turn a loss into something absolutely awesome without missing a beat.